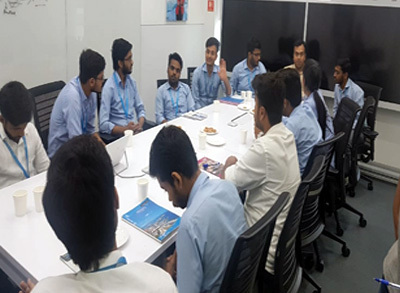 Department of Electrical and Electronics Engineering, GL Bajaj Institute of Technology and Management Greater Noida has arranged a student’s interaction with industry professionals at Barcclays Noida on dated 28th Sept. 2018, where no. of final year students were visited. 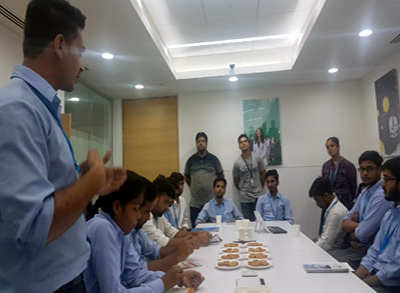 Mr. Nitin Kumar Pal, Assistant Professor Department of Electrical & Electronics Engineering visited along with students at Barcclays Noida.